Explanation: Will the result of these galactic collisions be one big elliptical galaxy? Quite possibly, but not for another billion years. 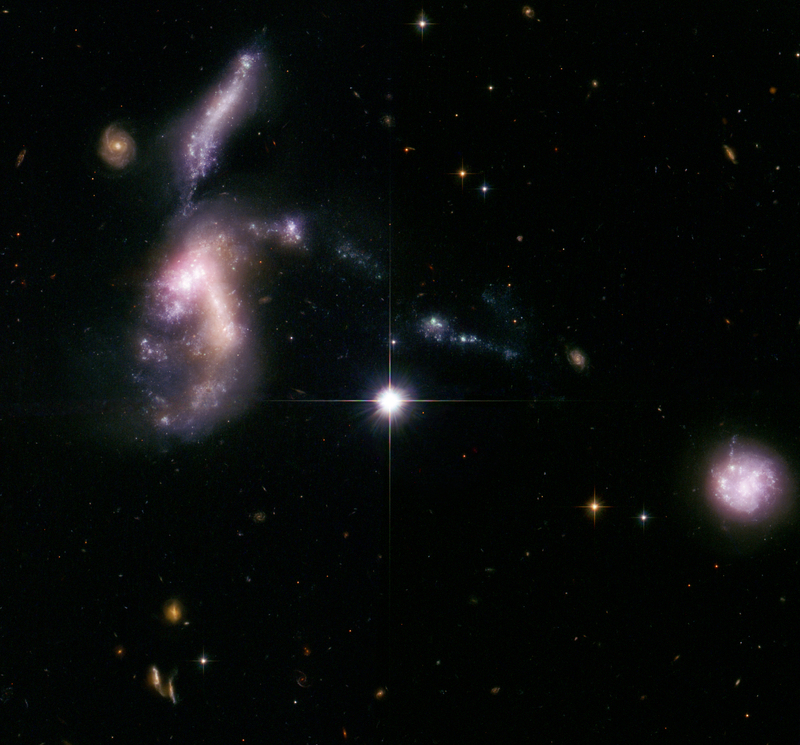 Pictured above, several of the dwarf galaxies of in the Hickson Compact Group 31 are seen slowly merging. 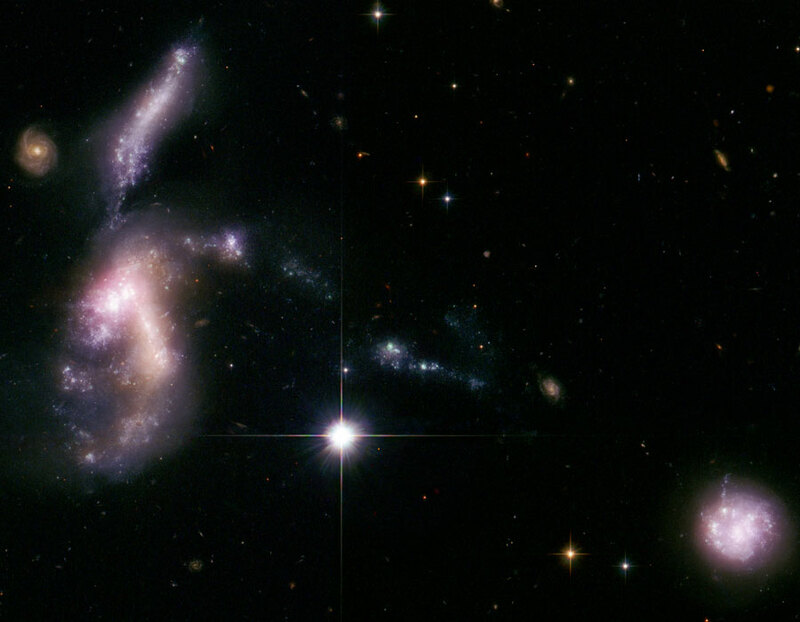 Two of the brighter galaxies are colliding on the far left, while an elongated galaxy above is connected to them by an unusual bridge of stars. Inspection of the above image further indicates that the bright duo trail a rope of stars pointing to the spiral galaxy on the far right. Most assuredly, the pictured galaxies of Hickson Compact Group 31 will pass through and destroy each other, millions of stars will form and explode, and thousands of nebula will form and dissipate before the dust settles and the final galaxy emerges about one billion years from now. The above image is a composite of images taken in infrared light by the Spitzer Space Telescope, ultraviolet light by the GALEX space telescope, and visible light by the Hubble Space Telescope. Hickson Compact Group 31 spans about 150 thousand light years and lies about 150 million light years away toward the constellation of Eridanus.